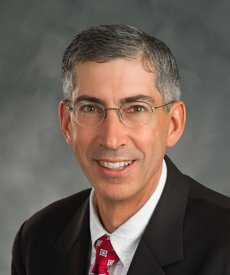 Chappaqua, New York—January 22, 2019—CareMount Medical, the largest independent multispecialty medical group in New York State, is pleased to announce Christopher J. Sclafani, PE, MBA, CareMount Medical’s Chief Operating Officer, has been appointed Chair of the American Medical Group Association (AMGA) Board of Directors. In this capacity, Mr. Sclafani will help to oversee and guide AMGA as it actively works to transform the delivery of health care in America. Mr. Sclafani is serving a one-year term as Chair which began January 1, 2019. Prior to his appointment as Chair, Mr. Sclafani has been actively involved with AMGA for more than 15 years and serving on its Board of Directors for the last six. Mr. Sclafani has been with CareMount Medical since 2000. As Chief Operating Officer, Mr. Sclafani is an integral member of the executive leadership team and is a key participant in the development of the strategic and operational direction for CareMount Medical. Under his leadership, the group has grown from 50 to over 600 physicians and advanced practice professionals. Prior to joining CareMount Medical, Mr. Sclafani was Senior Vice President at Putnam Hospital Center. He earned his Bachelor of Mechanical Engineering degree from Villanova University and has a Master of Business Administration degree from Fordham University. After college, Mr. Sclafani served four years as a Surface Warfare Officer in the United States Navy. Additionally, Mr. Sclafani currently serves as Treasurer for the Bedford Physicians Risk Retention Group and Corporate Administrator for the Ambulatory Surgery Center of Westchester. AMGA is a trade association leading the transformation of health care in America. Representing multispecialty medical groups and integrated systems of care, we advocate, educate, innovate and empower our members to deliver the next level of high performance health. AMGA is the national voice promoting awareness of medical groups’ recognized excellence in the delivery of coordinated, high-quality, cost-effective care. More than 175,000 physicians practice in our member organizations, delivering care to one in three Americans. For more information: amga.org.